It is Joint Venture Time for British Airways, American Airlines and Iberia. Almost every competitor who wanted the stop them have tried and failed. The Europe and the U.S governments couldn't either. After 14 years in the making, British Airways and American Airlines have finally been given the long-sought anti-trust immunity that will permit the carriers to coordinate schedules, fares and marketing. British Airways and American Airlines argue that it is all about staying competitive with airlines in other alliances that already enjoy the privileges of joint ventures. Routes between the U.S. and London's Heathrow, the two airlines' biggest strengths had become the largest source of contention among other airlines and regulators. Before receiving approval to move forward from EU regulators, the two airlines had promised to relinquish a few pairs of slots (take-off and landing rights) between the U.S. and Heathrow. This concession was received positively by the U.S. Department of Transportation (DOT) as it issued its final approval of the joint venture this week. The granting of anti-trust immunity also covers Iberia, Finnair and Royal Jordanian, all members of the oneworld® Alliance. In a press release, British Airways Chief Executive Willie Walsh stated: "We're pleased that the DOT and EU have worked together to ensure that there is consistency in the number of slots that the three airlines have to give up to our competitors to use on services from Heathrow to the U.S. We made the pragmatic decision to give up these slot pairs so that we can start operating the joint business as soon as possible." Iberia's Chairman Antonio Vazquez added: "A new kind of collaboration among our three airlines will lead to better service levels for our customers. This means that our customers will have more destinations to choose from around the world, better scheduled travel times, better connections, and more competitive fares." One more step to marital bliss for the United Airlines and Continental Airlies – The EU gives them its unconditional blessing. United Airlines (NASDAQ: UAUA) and Continental Airlines (NYSE: CAL) received unconditional clearance from the European Commission on the airlines’ proposed merger. The Commission noted its investigation found the proposed transaction would not raise any specific concerns in Europe or the trans-Atlantic. Like every groom to be, UAL Corporation chairman, president and CEO, Glenn Tilton says “we are pleased to have received this clearance from the European Union, a significant market for our combined new company, and we continue to work cooperatively with the U.S Department of Justice toward an expeditious completion of our merger, which will benefit our customers, our people, our shareholders and the communities we serve,” how sweet. The companies announced their plans for an all-stock merger of equals in May and expect the transaction to close in the fourth quarter of 2010…bless them. As passengers, we are definitely looking forward to seeing all the promised benefits. Airline companies in Europe and North America have been getting away with offering one price and charging a different one for quite some time. As budget airlines continue to get away with it in Europe, the American government has decided to react. I always knew that budget airline will have their ‘comeuppance’ when I tried to board Ryanair for the first time and had to race to find myself a seat and discovered that despite my best efforts, I was still not the first person in the aircraft. How did the other get there before me? The emergence of budget airlines seemed to have been a blessing from heaven. It meant that traveling to sunny destinations did not have to cost half a year’s savings and more money could be spent on accommodation and food. However, now when we have become used to such rates, traveling with budget airlines has become a nuisance because of annoying ways of arguing at airports and haggling over cash. We continue to have the beginnings of our holidays ruined in Europe through arguing about extra charges, now the American government has decided to call an end to such deception. In the aftermath of a report by the Government Accountability Office, whereby it was discovered that airlines made $1.3 billion in the first quarter of 2010 just on luggage and other extra charges, the government has demanded that airlines display the real price of tickets. Ancillary fees have grown by less than 1%, as the profit is in the add-ons. Passengers say that they would not mind tickets being more expensive if they could save the stress at the airport worrying if they have to fork out for fuel surcharges and other details such as forgetting to fill in passport details. Fuel surcharges and taxes must now be included in all advertised prices of tickets. The line is drawn whereby certain services are unavoidable. Passengers do not have a problem with paying extra for window seats, tea and coffee, oversize luggage or an extra pillow. These are luxury items. However, is it moral to charge people for things they cannot avoid? The American government wants to ban charges for checking in, fuel and booking online. Do you think that the British Government will be brave enough to follow suit? An Orbitz for Business survey claims that although the amount of people going on business trips and the amount of trips themselves are increasing, the trend nowadays is to spend less. 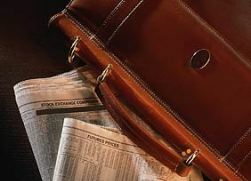 It appears that the global trend is growing and the style of business travel is changing a lot. So what is the trend now? It used to be the case that business travellers were the ‘darlings’ of travel service providers; throwing around money that was not theirs and always going for the most expensive options merely to maintain a desired image. According to the survey, gone are the days when cruising in economy class with a suit and tie were not a business traveller thing. Today, it appears that they will even throw in a wave for cash back incentive from their employer. Tougher schedules have led to business people returning earlier than before from trips and the economic climate has led to companies saving every cent they can, sometimes even offering their employees a financial incentive to do this. The Orbitz survey of 850 travellers revealed a lot about the changes in the habits of business people. 70% claimed that saving money was at the forefront of their interests and most of these people claimed that they were financially motivated to do so. If the employee saves and the company saves, then the hotels and restaurants clearly lose out. Business travel has increased since 2008 yet with the new trends and behavioural patterns, it means very little to service providers. Apart from cutting back on hotel stays and flight tickets, many business people have been using their own cars to get about. This is a huge saver and companies were clearly getting tired of paying hire fees and insurance. Another important factor is that business people tend to book their own trips nowadays; in fact 91% claimed that this was the case. This means that they are directly responsible for saving money, which is reflected in their behaviour. In his opening address at the European Tourism Stakeholders’ Conference in Madrid, Antonio Tajani, Vice-President of the European Commission with responsibility for industry and entrepreneurship declared taking holidays as a right. He said that as the person responsible for Europe’s policies in this economic sector, it is his firm belief that the way in which we spend our holidays is an excellent indicator of our quality of life. He insisted that unrivalled tourism resources must become fully accessible to those for whom travelling is difficult: the elderly and persons with reduced mobility. The sector’s operators are aware that ensuring (and facilitating) travel and holidays for tens of millions of persons with reduced mobility nowadays represents a challenge within a challenge. In addition to accessibility, attention must also be paid to young persons and families at a disadvantage who – for various reasons – also face difficulties in exercising their full right to tourism. It quite clear that tourism plays a key role in promoting development and social and economic integration in rural, outlying or slow-growing regions but one not underestimate the extent to which tourism – developed sustainably – provides local economies with a lasting source of income and stable employment while enabling them to safeguard and capitalise on landscape, cultural, historical and environmental resources. • and, finally, increasing international competition. • finally, integrating tourism into the financial policies and instruments of the EU. Improvement of the socio-economic knowledge base of tourism and of the related activities, in particular by means of studies, surveys and statistics to be produced in close cooperation with international organisations such as the World Tourism Organisation (WTO) and the Organisation for Economic Cooperation and Development (OECD). Enhance the image and perception of Europe as a set of sustainable and high-quality tourist destinations. Integration of the interests of the European tourism industry into the other Community policies. • health tourism, particularly spa tourism. He ended his speech by quoting St Augustine, in his capacity as a great philosopher referring to the topic of “travel” “The world is a book and those who do not travel read only a page”.